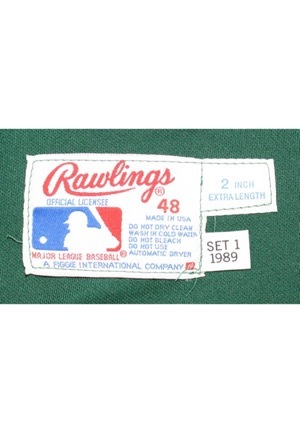 On the inside front left tail is the Rawlings manufacturer’s tag size “48” with washing instructions. Attached is a flag tag reading “SET 1 1989” and a strip tag reading “2 INCH EXTRA LENGTH”. 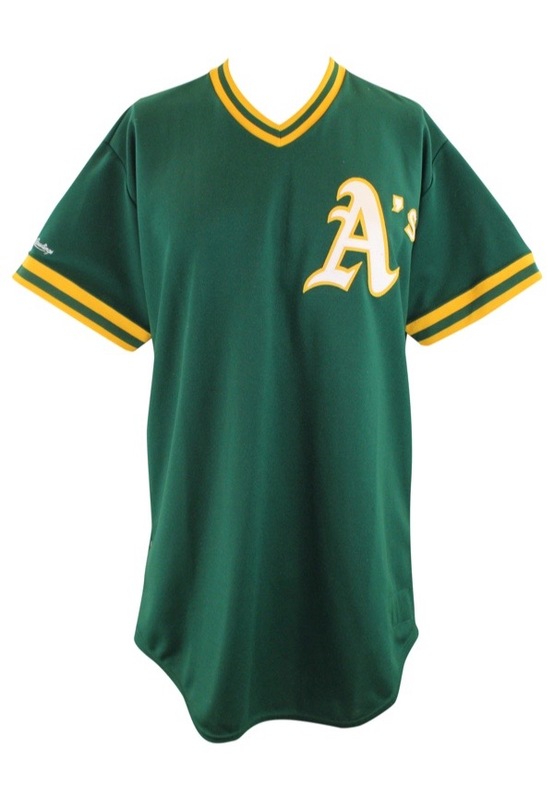 On the right sleeve is a “Rawlings” logo embroidered in white. 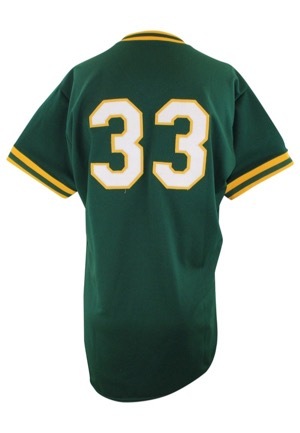 On the left chest is the “A’s” logo and across the back is the player number “33”. All numbering and lettering is done in white on yellow tackle twill. 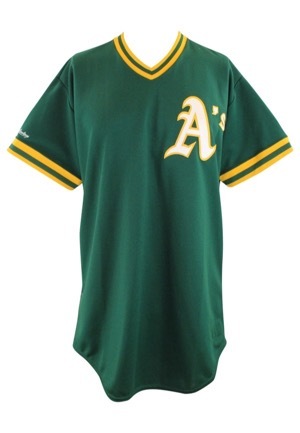 This jersey is properly tagged, was presented to us as Spring Training worn and shows use.